Africa: What Effect Did the US Shutdown Have On Foreign Aid? New York — New York - The US government shutdown may be over, but the uncertainty it caused for the aid and development community isn't going anywhere. Humanitarian groups say the record 35-day halt to the funding of routine government activity stopped short of causing massive disruptions: NGOs including Save the Children and Mercy Corps, as well as the UN's World Food Programme, said the shutdown hadn't impacted their operations. It was a slightly different story at USAID. The US government agency responsible for administering civilian foreign aid and development assistance reported that as of January 23 (two days before the shutdown ended) just over half of non-contractor "direct hire employees" (1,706 out of 3,311) had been furloughed, meaning they were instructed not to report for work, nor were they working remotely. Though proportionally fewer staff were furloughed overseas, the cash freeze appeared to be felt most strongly on humanitarian and diplomatic operations outside the United States - activities budgeted at some $39 billion per year. During the shutdown, the US government said it would provide $20 million in humanitarian aid for Venezuela, but its aid delivery department was hampered by the government shutdown. "If I'm an implementer or a strategic planner at USAID, the threat of a shutdown will at the very least have a dampening effect on my ability to do the long-term planning that is so critical for USAID (and its partners) and without which appropriated funds won't be contracted out in time, thus putting sequestration back on the possibility list," said Erol Yayboke, deputy director of the Project on Prosperity and Development at the Center for Strategic and International Studies, a Washington D.C. think tank. The longer-term impact may be difficult to gauge, but US grantees and analysts say the shutdown at the very least caused delays in aid approvals and stalled ongoing dialogue. And should another shutdown occur - as the White House hasn't ruled out - it is now more likely that projects will be disrupted and delayed, compounding backlogs and continuing to put relationships with local partners at risk. "Humanitarian partners are on the front lines of delivering lifesaving services to the most vulnerable around the world," Congresswoman Nita Lowey of New York, who chairs the House Appropriations Committee, told IRIN, shortly before the shutdown ended. "Disruptions in US funding compromise their ability to plan and manage operations and put at risk the lives of many." Jane Gotiangco, a spokeswoman for Chemonics, a large development and humanitarian aid contractor, said that while its own operations enjoyed "some degree of flexibility" during the shutdown, it was more challenging for "small businesses and indigenous organisations... since they do not have large enough diversity of projects to ensure continuity of all their operations." As of the middle of January, about a quarter of the US foreign ministry and diplomatic service staff - the State Department's direct hire employees based overseas - were furloughed, while 42 percent of those based in the United States were sent home. Because of the timing of the shutdown, which began just before the Christmas holiday, effects on State Department functions like the resettlement of refugees - which is halted anyway for several weeks around the end of the calendar year - were more difficult to measure. But diplomatic work and engagement with foreign interlocutors and international organisations clearly took a hit. 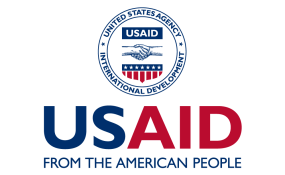 Tom Babington, a spokesman for USAID, said that offices affected by the shutdown would not make "new obligations or grants and contracts" except for in exceptional cases. In early January, Senator Patrick Leahy of Vermont provided one example in Vietnam, saying that "key employees at our embassy and USAID mission in Hanoi were furloughed," an instance that was likely replicated across continents. Yayboke described funding issues resulting from the US shutdown as "essentially unforced errors or self-inflicted wounds", adding: "funding uncertainty is the worst enemy of development practitioners... who have to deal with every other imaginable uncertainty on a daily basis."